Campaigners are calling for a peaceful demonstration today (Wednesday 29th June) at 7pm on Beddington Lane, outside the site of the South London incinerator (1). The demonstration is designed to send a message to Viridor shareholders who meet two days later on Friday 1st July in Exeter for their AGM (2). It is also an opportunity to raise the issue with UK law makers and the newly appointed Mayor of London. 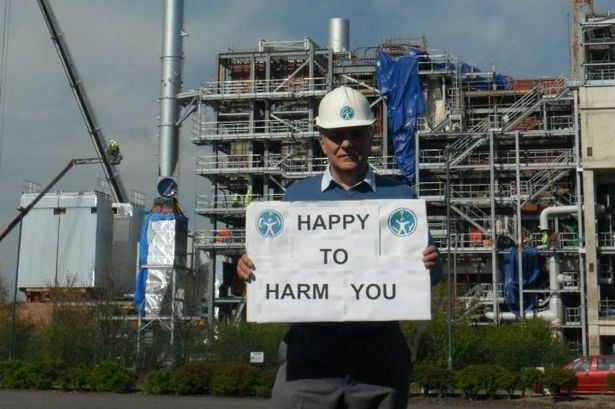 “The EU is a 100% backer of incineration and encourages its use throughout countries many of which do not have strong environmental controls. Its bank, the European Investment Bank, has recently supported Viridor with a huge £110 million package for its Cardiff incinerator. (3) Burning one tonne of waste instead of recycling, produces around one tonne of carbon dioxide, a greenhouse gas. If we are serious about halting global warming and improving air quality then we need to stop incinerating. The EU has very low efficiency standards for evaluating incinerators. This allows waste companies and councils like Sutton to call these plants ‘Energy Recovery Facilities’ instead of waste incinerators . Following the Brexit vote we have an opportunity to insist on much higher standards which will halt the expansion of the incinerator industry . Brexit will hit the profits of incinerator operators hard and force councils to recycle instead .